In the nine and a half years since going live Bitcoin has gone on an upward trajectory and, despite the blips that the cryptocurrency has experienced and the tougher regulations happening around the world, things do not look like slowing down anytime soon. These thoughts are backed up by experts such as venture capitalist Tim Draper and partner at Pfeffer Capital, John Pfeffer, who have predicted that Bitcoin will reach a price of €700,000! Even with the challenges that Bitcoin is currently facing, such as its volatility seeing a lower price than the turn of the year and Google searches for Bitcoin going down in recent times, these experts believe that they will be overcome and so do many others as Bitcoin remains popular around the planet. People are investing in this biggest of all the cryptos available and new boundaries are being opened for its usage, but what’s next for Bitcoin? We’re looking at some of the newest, most innovative and revolutionary ways of using your cryptocurrencies. Solar power is one of the cleanest energy sources around the globe and thanks to blockchain people are now able to help save the planet via these two world changing technologies. Start-up company LO3 Energy, who are in partnership with Siemens, are offering people in Brooklyn who have solar panels for their energy needs the ability to sell some of the power they generate via blockchain. Using an app and directly connected meters, app users can sell environmental credits to people who do not have access to solar power generation technologies. This increases blockchain and cryptocurrency usage and helps save the planet by reducing the amount of fossil fuel generated energy being used. The 2018 World Cup is well underway right now and Bitcoin is revolutionising the way that people enjoy the biggest football event on the planet! Until this summer’s tournament in Russia, sports bettors had only been able to place their bets with fiat currencies and their set wagering limits. However, with many sportsbooks now accepting Bitcoin for deposits, withdrawals and wagering it could be a historic World Cup as the highest betting limits are only available to those with the cryptocurrency. This means that its easier to get bigger bets placed and to take your big winnings out quicker and easier than sites using only fiat currencies. It is not just Bitcoin being used either as many online sportsbooks now offer Ethereum and Litecoin for gambling purposes too. In addition to this, due to the blocks from Visa and MasterCard around Russia for this tournament, many supporting companies, such as hotels, are accepting payment in Bitcoin to make life easier for visitors. This looks like the first step in a move towards cryptos becoming the norm for offline payments. Making big purchases in Bitcoin the default method. 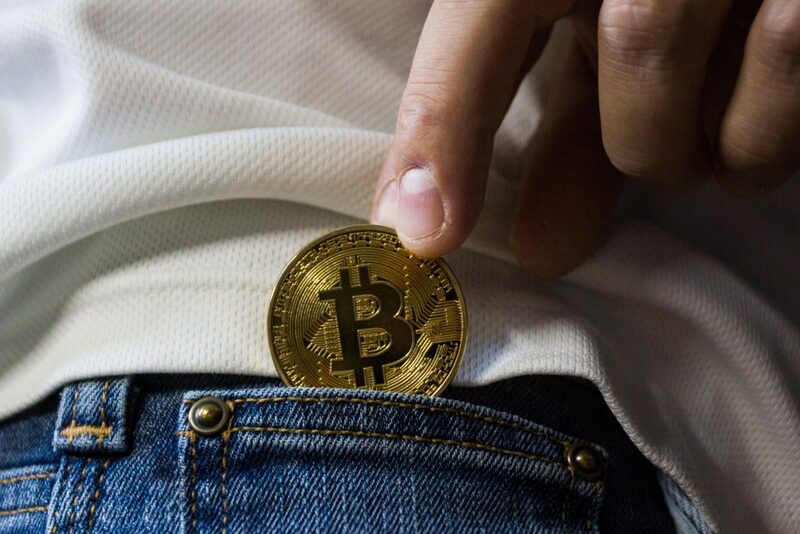 Leading on from the statement at the end of the previous segment, it appears that Bitcoin could become the normal way of making big purchases in Australia as the Liberal Party Government have announced that from July 2019 it will be illegal to purchase anything over $10,000 AUD in cash. The reason for the banning of these large value cash transactions is to prevent tax evasion, but the change from cash to Bitcoin should not be a major issue for Australians. Brisbane has already taken a massive step forward towards wide scale cryptocurrency usage by allowing travellers to purchase goods and in-airport services using Bitcoin, Litecoin and many other cryptocurrencies. Australia is certainly open to new ways of thinking and usage of new technologies, so it certainly looks to be time to invest in cryptos for your next trip down under! The latter of the two corruption types mentioned is kept in check by blockchain’s openness and transparency by combating issues, such as fund leaks. The World Food Programme (WFP) is taking the lead on this by using blockchain to distribute cash assistance to hungry families, thus ensuring that the money gets where it needs to go. No matter where you wish to go, Bitcoin will take you there. Whether you want to travel by luxury car, you can do so by purchasing a Lamborghini, a McLaren F1 or a Ferrari Enzo at the Bitcoin luxury marketplace De Louvois or even if you want to fulfil the dream of going to space you can do this too. Richard Branson’s Virgin Galactic is accepting Bitcoin payments for space travel for the commercial space flights that they’re offering, and Bitcoin early adopters Cameron and Tyler Winklevoss have already purchased places on a flight worth $250,000. Where will your Bitcoin assets take you as Bitcoin usage goes forwards and continues to break new frontiers?